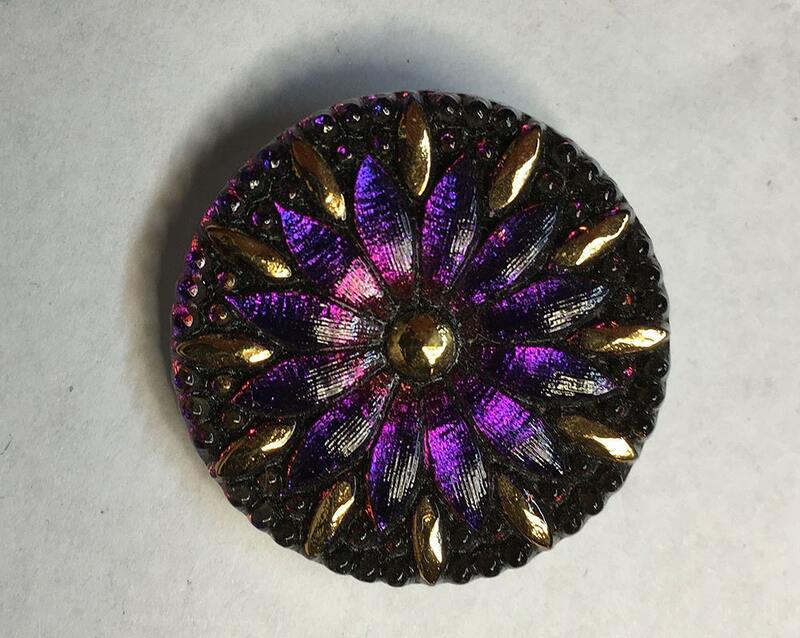 Gorgeous Czech glass button with a criss cross shank on the back. 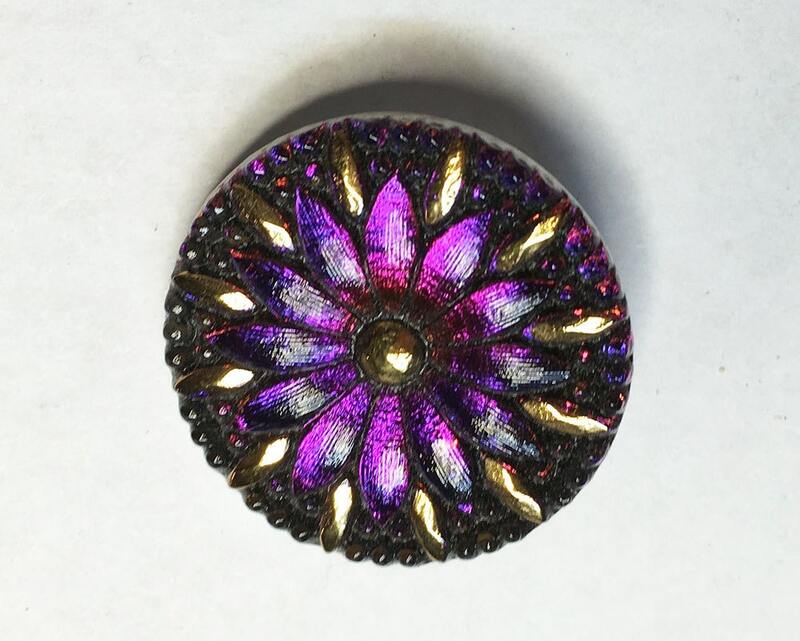 This button features a rich purple sapphire vitrail 12 petal flower with gold detail around the petal edges and in the center. Gorgeous for adding a touch of elegance to your work. Use in jewelry making for a button closure, as a focal piece, or as a special touch to a hand sewn garment or bag. Size is 31mm. You will receive one button. A true work of art with a vintage style!